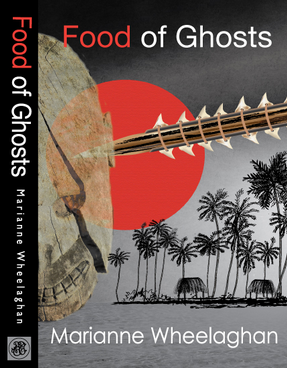 Marianne Wheelaghan, novelist and writing tutor, has written two books, The Blue Suitcase and Food of Ghosts, and is currently writing sequels to both. 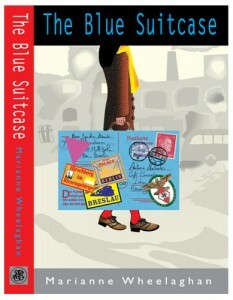 The Blue Suitcase was her first novel, published in 2010. Based on the wartime experiences of Marianne’s mother, the novel uses diary fragments and letters to tell the story of Antonia, an ordinary German girl. The novel opens with her diary as a child, and we see her sulking, hoping, and wondering about perfectly normal things: will she win the writing prize at school, what will she get for her birthday? Suddenly, a huge shadow is cast over her life as the Nazis seize power, and everything ‘normal’ is shaken. The diary is forced to abandon the pleasant childhood trivia. Her ambitious mother is forced out from her job as a doctor, one brother who supports the Communists is viciously beaten, whereas the other is filled with an unsettling fervour and adoration for Hitler. Antonia struggles with this, as she is still young and centred on her own concerns, and initially resents how the adult attention is wrested away from her. 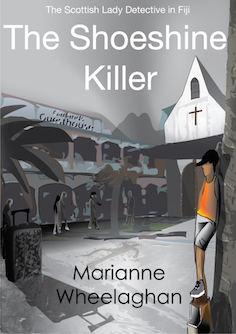 However, when war is declared she is forced to grow up and face the increasing horrors. She moves fast from being a sulky teenager, pinching cash from her parents and sneaking out to drink, and becomes a wartime worker. She is posted back to her city of birth, Breslau, to work for The Reich. As the war gets bloodier, and closer, she ends up working amidst rubble, unexploded mines, the dying and the dead, all the while utterly terrified of the approaching Russians. This book was a fascinating read, as we sympathise with Antonia – how can we help but do otherwise when we’ve been reading her diary, having access to all her terrors, hopes and worries? – but we are seeing the war from the opposite perspective to which we are accustomed. It was odd to view it from the perspective of a young, decent, ordinary German girl, who hopes her country, and ‘our lads’, will win. So, the book forced me to look at the war from this strange, unnatural angle. And it was an angle wholly removed from politics, history and jingoism. It was simply that of a young girl, wishing she had a heavier coat, wondering what she’d eat tonight, wishing her fingers weren’t raw and bleeding. How refreshing it was to see things from this new perspective.